Certified Nursing Assistants, known as CNAs, are entry-level healthcare workers. In general, CNAs are high school graduates who complete a formal, state-accredited training program that includes didactic instruction, hands-on lab work and clinical rotation in an off-site, licensed facility. After nurse aide students complete the training, they’re qualified to sit the state’s certification exam, which tests the students’ knowledge and abilities through a written exam and skills performance. Those who pass the exam are certified to work in long term care facilities. Montana’s Department of Public Health and Human Services manages the training, testing and certification of nurse assistants in the state. Licensed nursing facilities cannot hire an individual to work as a nurse aide for more than four months on a full-time basis until the individual can competently provide nursing related services. The facility must verify that the individual completed an accredited training program and competency evaluation for placement on the nurse aide registry. Nurse aide students must complete the required training and certification within the four-month period. Failure to do so should result in termination or removal from providing direct care services to patients at the facility. Employers can hire an out-of-state CNA after verifying that the prospective employee is still in active status on the old registry. However, the CNA must take active steps to transfer the certification to Montana’s registry. Nursing students, military-trained nurse assistants, and foreign nurses should contact the department to request permission to challenge the state certification exam, as long as they’ve met the specific training requirements. Colleges, nursing homes, high schools and for-profit institutions all have their specific requirements for entry. As far as Montana’s educational requirements go, anyone with a clean bill of health and criminal background can become a CNA. However, many schools may prefer prospective nurse assistant students to possess a high school diploma. This requirement helps facilitators maintain the pace of the coursework and improves chances of students’ success on the state certification exam. For-profit training providers are most likely to accept students without a high school diploma or GED. Keep in mind that a diploma is useful after certification when you begin your job search. Employers are more likely to hire high school graduates. Montana’s nurse aide training curriculum requires a minimum 75 hours of instruction, including 25 hours of hands-on learning in a clinical setting. The training prepares students for their demanding role as part of a patient care team. In the classroom and lab, students learn the correct way to provide baths, feed patients, distribute trays, provide oral care, transfer patients, and position and turn them when needed. Training equips students with the necessary skills to work in various healthcare settings, including hospitals, nursing homes, home health agencies and specialized clinics. The clinical rotation is a mandatory part of the program as it affords students the opportunity to work directly with patients, so they can adopt good and safe habits under the direction of the licensed nurse instructor. While some training providers offer a fast-track 2-week option, the majority of programs require a three-week commitment from day-time students. Whether the program is 75 hours long or 120 hours long, the goal is to prepare graduates for success on the state certification exam and immediate employment upon certification. 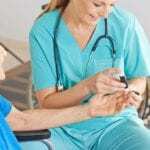 For free nurse assistant classes in Montana, contact a local nursing home in your area to find out about sponsorship opportunities. According to the Association of Certified Nursing Assistants, training programs are not only free, but also give students lots of opportunities to practice their skills in a real-world setting. Nursing homes may also cover the costs of books, uniform, course materials and state certification. It also improves students’ chances of employment immediately following certification. If you prefer immediate enrollment without extensive screening and waiting lists, you can enroll in a paid training program. Luckily, there are many affordable training options in Montana. From community colleges to vocational schools and private programs, the average cost of training is just $640, inclusive of textbooks, uniform and miscellaneous supplies. However, you should expect to pay extra for your criminal background check, drug screen, physical exam, TB test, immunization, and the state certification fee. According to federal laws, your employer (a licensed health care facility) must pay for your training and state certification fee if you’re employed or receive employment within 12 months of certification. 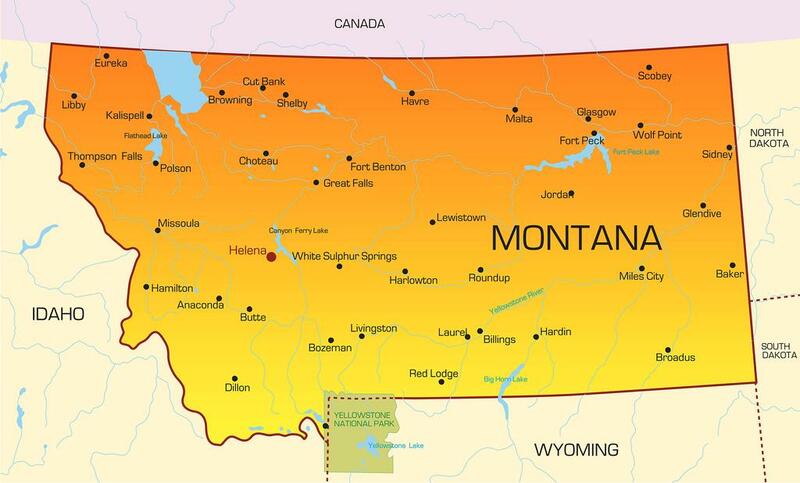 Montana’s nurse assistant competency evaluation, administered by the D&S Diversified Technology, is similar to the exams issued by most other states. The two-part exam comprises of a written knowledge test and manual skill tests. Nurse aide candidates must provide proof of completing an accredited training program before taking the test. In order to qualify for inclusion on the registry, candidates must pass both components of the evaluation and meet other requirements as outlined by the Department of Health and Human Services. The written test comprises of 72 multiple-choice questions, which you must complete in 90 minutes or less. Students will record their answers on paper or via electronic means –depending on the test site. There’s an oral (audio) option available for candidates who are not 100 percent comfortable with written English. If you wish to take the oral option, you must request it at the time of application and take the test at an online test site. For the skills test, you’ll have to demonstrate your hand washing skills along with 4 other skills selected at random. The nurse aide evaluator will rate your performance of the skills and assign a score. You must achieve 80 percent or more on the skills exam to pass the test. Montana’s process for transferring a CNA license is easier than most other states. Note: The registry will not approve the application if they find charges of abuse or neglect. You must renew your registry every 24 months. Don’t see Forsyth on the map!?!?!? Also, to answer your question – yes, not all cities are shown on this map. You actually don’t need to take a class.